Posted September 6th, 2018 by Andrew Lodge & filed under Community News, News. 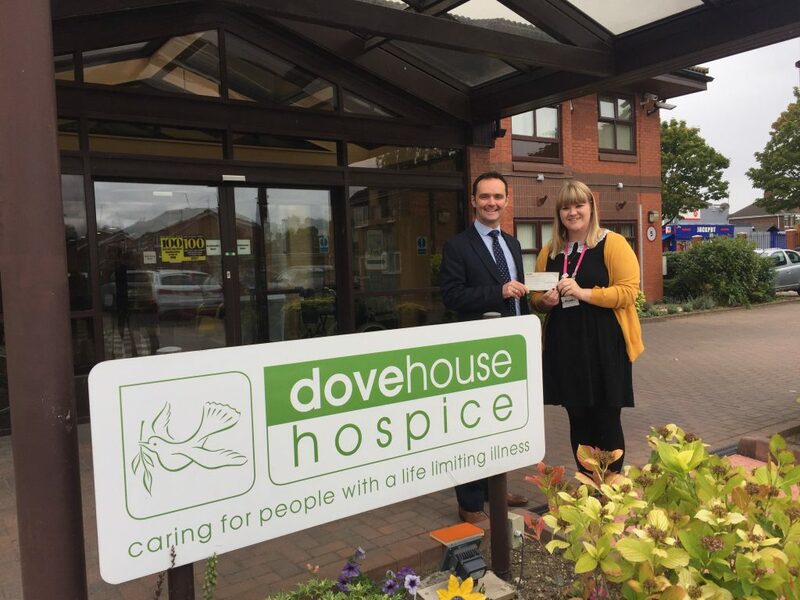 Our Driffield-based financial planner Robert Bligh was a welcome visitor to Dove House Hospice in Hull on Thursday morning, to present a £308.16 cheque generated from the Lifetime referral scheme (see picture below). Lifetime has clients up and down the country and the referral scheme has now raised over £34,700. If you are happy with the service you have received from Lifetime and know of family, friends or colleagues you feel could benefit from this service; then we have found a way that will also benefit your local community. For all introduced clients to Lifetime, we will donate, on your behalf, 10% of any initial fees generated on new transactions completed with these clients, to your local hospice.